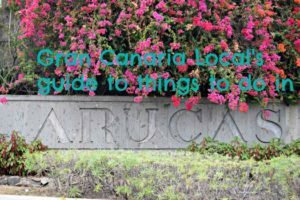 We first visited Playa del Cura on a bus trip from the capital. 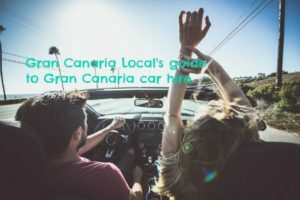 If Gran Canaria Local was a political party, we’d make a promise in our manifesto to go to all of the 80+ beaches on the island. 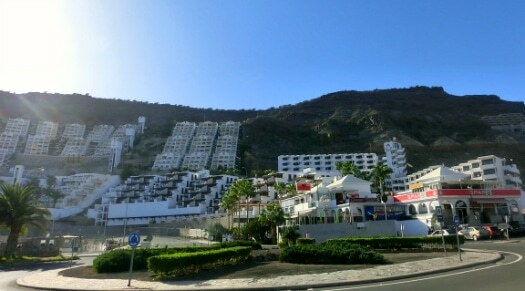 And so much to our two elder sons’ disappointment, we passed Playa de Amadores, complete with its Atlantic water park, and continued to the final stop, Playa del Cura. 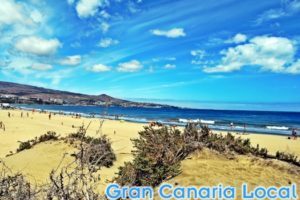 One of our extended family on Gran Canaria had told us Playa del Cura was less a beach and more a campsite for the classic Volkswagen camper van fan. However, there was no sign of any long-haired lovers when we arrived. The area had been spruced up, appealing to the pijos (snobs) more than the hippies. A move consistent with what went down in nearby Arguíneguin. Where once surfers crafted boards from the nearby forests, it’s now home to one of the island’s finest hotels, the Radisson Blu. 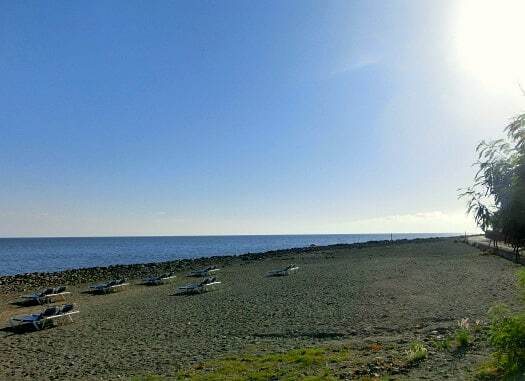 There are 13 Mógan beaches. 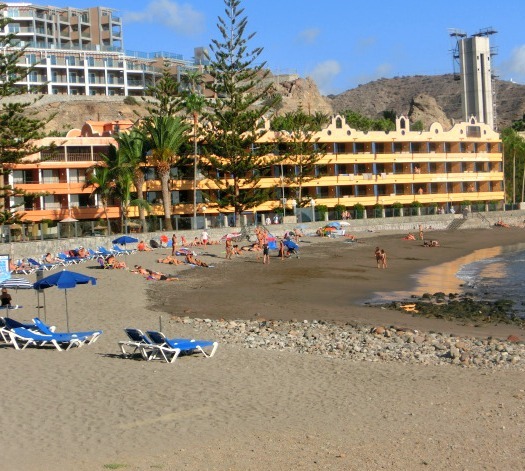 At 225 metres, El Cura’s the sixth-longest playa. And in many ways it’s an average beach, even if its dark sand is more authentic than the artificial surface of neighbouring Amadores. 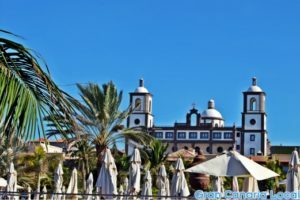 It’s largely an unremarkable resort too with a shopping centre that doesn’t house much more than the obligatory Spar supermarket. Look up above this centro comercial and you’ll see an unfinished hotel, which nonetheless ensures no-one can accuse this part of GC of being overdeveloped. Yet what sets Playa del Cura apart from the rest of the resorts, in our humble opinion, is the sublime Sunprime Riviera Beach Suites & Spa. 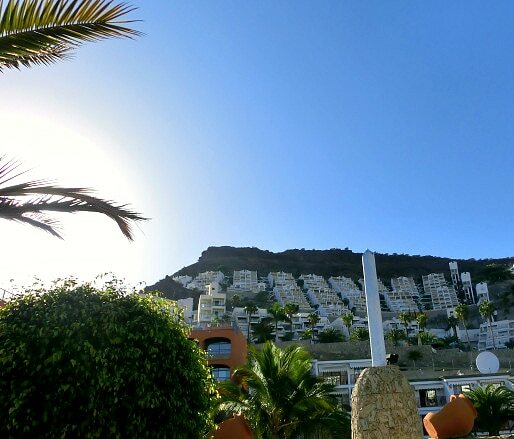 A symbol of the area’s regeneration, it was the perfect setting for a celebratory meal when we revisited with Mrs Gran Canaria Local for her birthday. It really was a case of many happy returns. I definitely wish I was relaxing on a beach reach now and staying in a Sunprime Riviera Beach Suite sounds very good to me. Us too, Freya. If only pesky work didn’t get in the way. However, we’ve got some more accommodation reviews lined up. 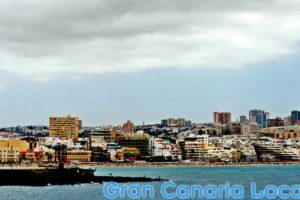 So we’ll be able to showcase other great spots to relax at on Gran Canaria.